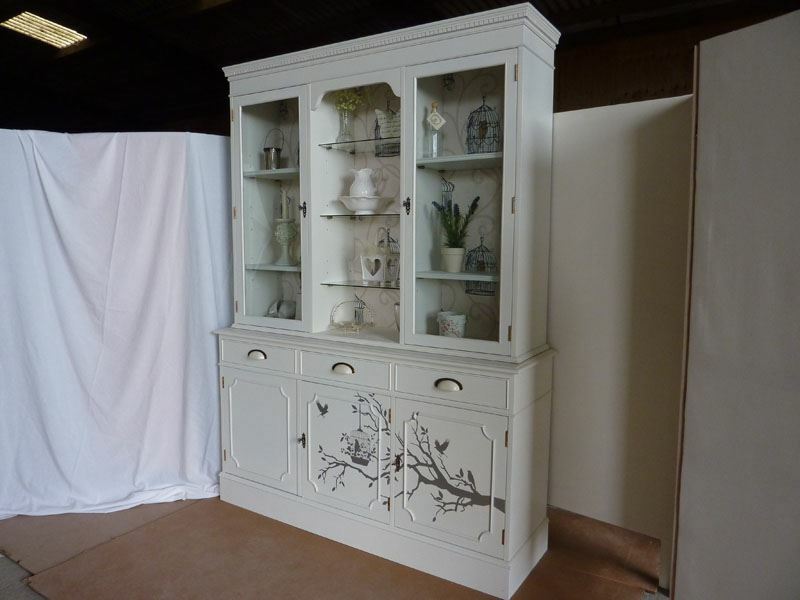 A yew display cabinet with three drawers and three doors to the base section. 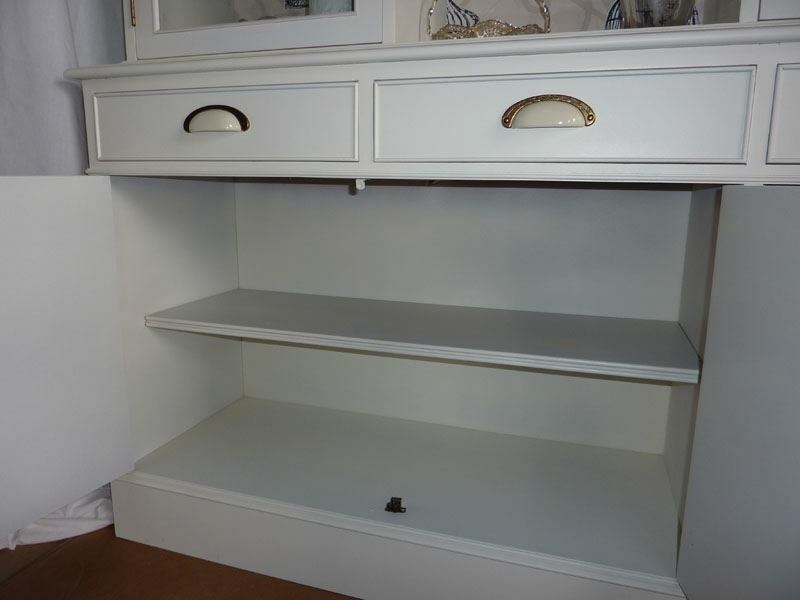 The top has two tall display sections with glass doors and an open shelved section in between them. 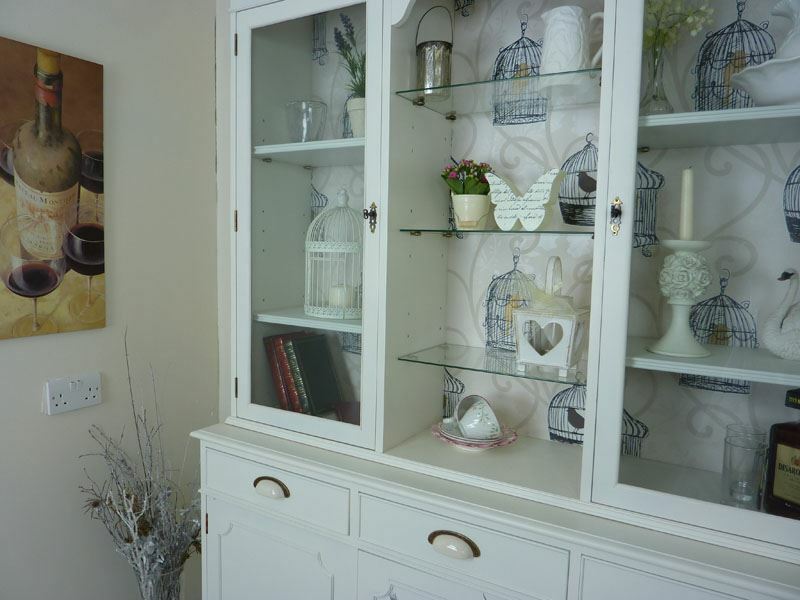 After full preparation the cabinet was painted in "Delicate Mocha" a very subtle off white colour. 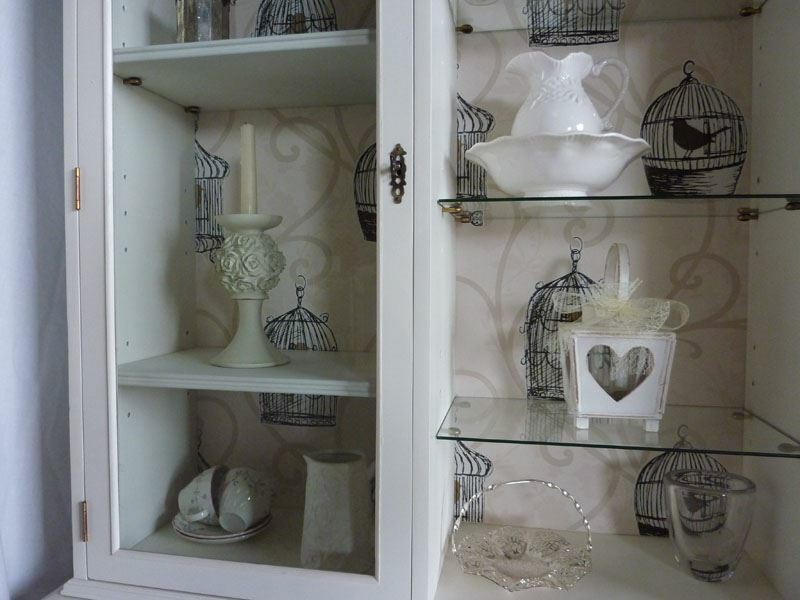 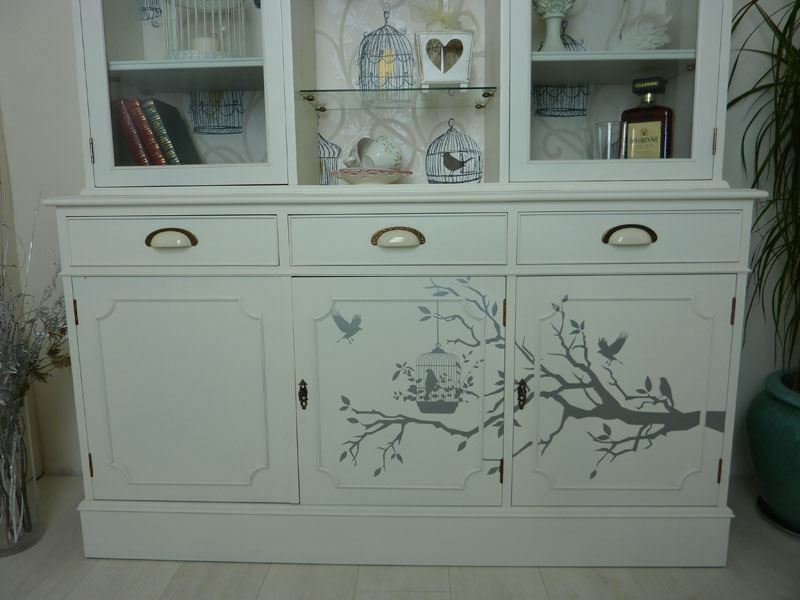 This made a perfect background for the Silver Bird decal on the base cupboards. 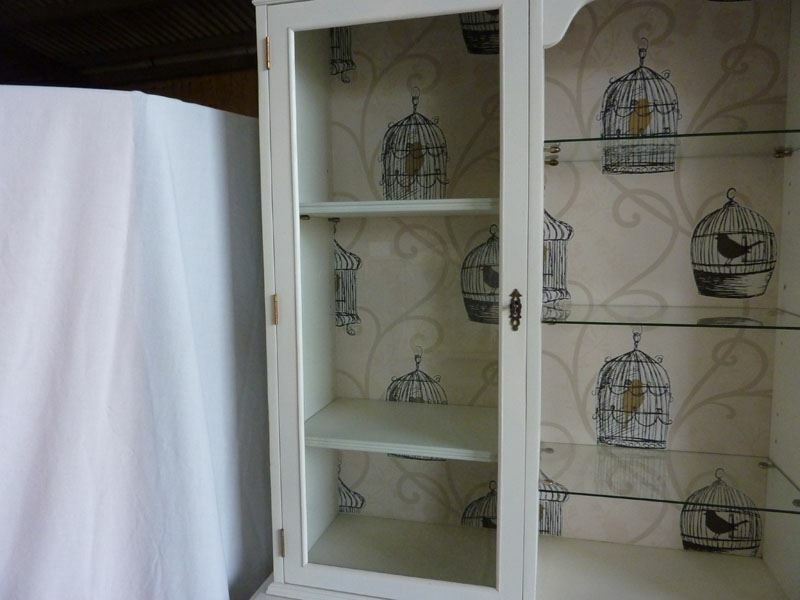 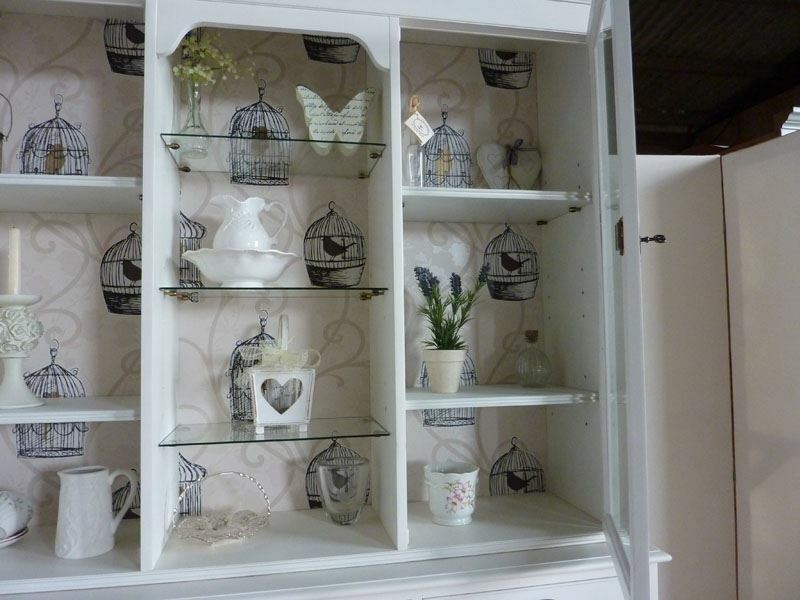 The back of the top display cabinet has been papered in Birds in cages paper. 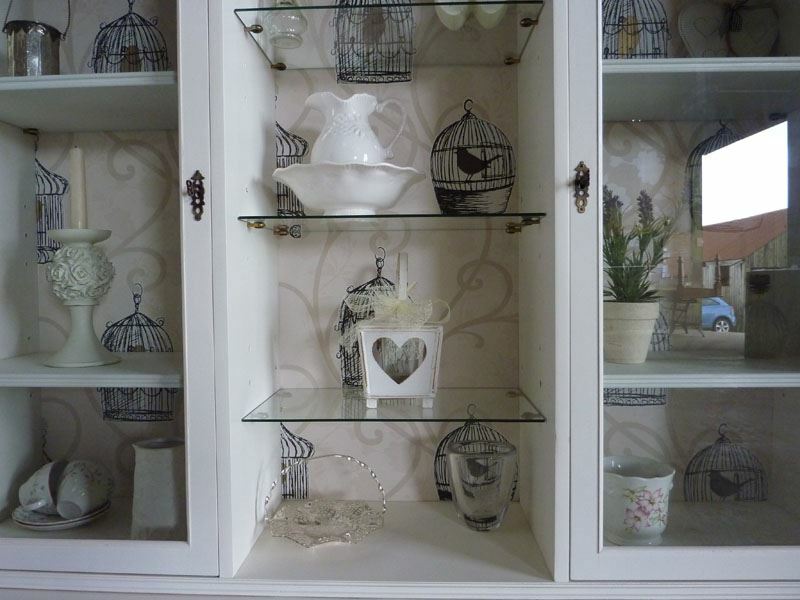 The dated sectional glass in the top display doors of the cabinet has been replaced with clear laminated . 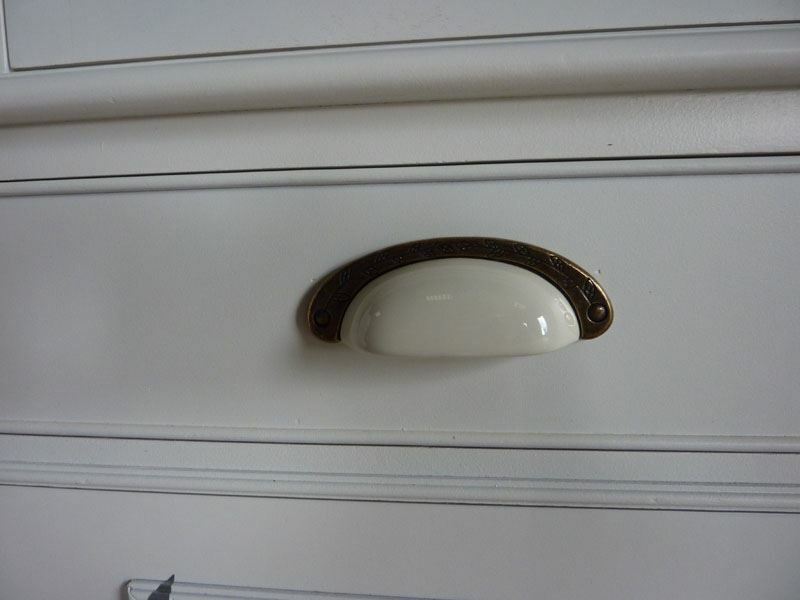 To complete the transformation we have added ceramic cup drawer pulls in an Antique White. 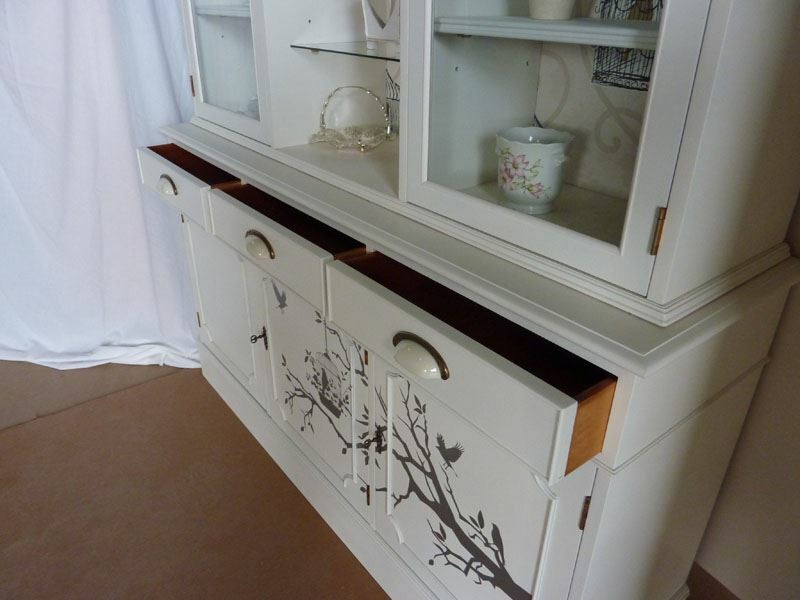 The Cabinet has been waxed with Carnauba to protect and leave a soft finish. 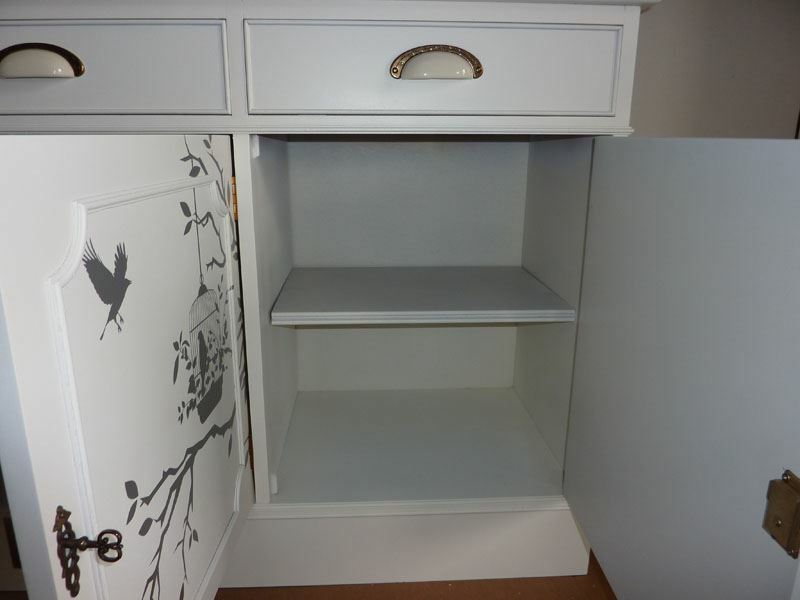 The cabinet separates into 2 parts for transportation. 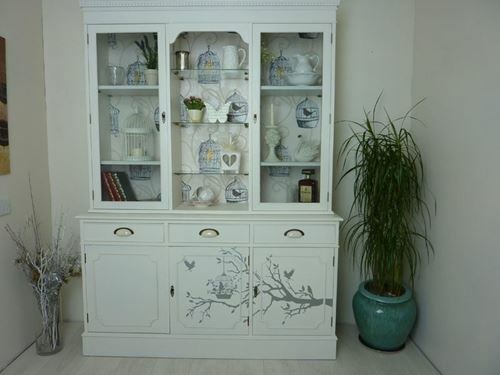 We have produced replicas of this cabinet in different sizes as special customer orders - click here to see.